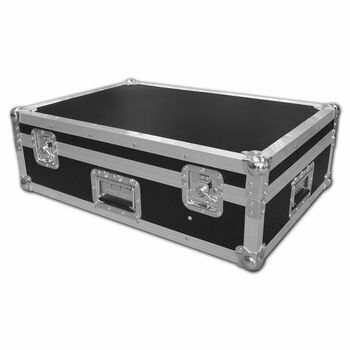 Infocus IN5532 Projector Flightcase 4.9375 out of 5 based on 8 ratings. 8 user reviews. The product arrived and was perfect for the projector that I needed to put in it. I would say that it was all a little quiet post order until I suddenly got an email to say it was being delivered. This is only worth noting becuase we are used to over communication and super fast deliveries for a lot of what is ordered. It was not that this took a long time to process and come through - I think 3 weeks in all. Great service imo. Would happily use again. Great cases, fit is perfect and enough room for the basic cables. Quick delivery too. Thank you. Well made case. Had to do a little adaption to accommodate the lens cap. Other than that it is a sturdy well made case. Perfect fitting case, delivered ahead of promised date, well made. Great service.